We're Shreveport, LA's Premier Vape Shop! Tiger Vapes is the premier electronic cigarette retailer in Shreveport, Louisiana. You will find only the top leading products from name brands such as Aspire, KangerTech, Sigelei, Eleaf and Smok. We are committed to helping customers find quality devices, starter kits, or atomizers and accessories best suited for each individual. Whether you are trying to stop smoking altogether or are cutting back on smoking cigarettes, Tiger Vapes will help you set and reach your goal! With our surplus of American-made flavorful e-liquids, you can adjust nicotine levels precisely to meet your needs. From fruit and dessert flavors to tobacco flavors and everything in between, we guarantee that everyone will find a flavor they love. Our friendly staff will address all of your vaping questions as you enjoy Tiger Vapes' relaxed, no pressure atmosphere. Are you not sure if electronic cigarettes are for you? Visit our store at 1106 Shreveport Barksdale Hwy. Suite 104 to see for yourself! We have a juice bar with over 300 flavors to choose from. You can also try before you buy! Looking for signature lines of juice? We also carry a large selection of Premium E-Liquids! Military, First Responders, and Police receive a 15% discount, and customers - don't forget to ask about our Five Stars program and our customer referral program! We currently do not have an online shop, but contact us and we will be more than happy to ship any product you want. Searching for a Variety of Starter Kits, E-Liquids, and Mechanical Mods? Tiger Vapes Has Everything You're Looking For! 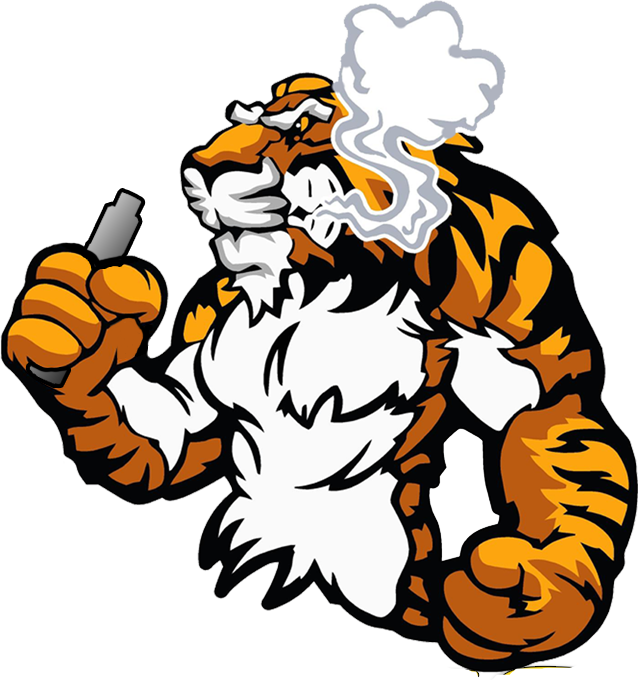 Copyright © 2019 Tiger Vapes, all rights reserved.